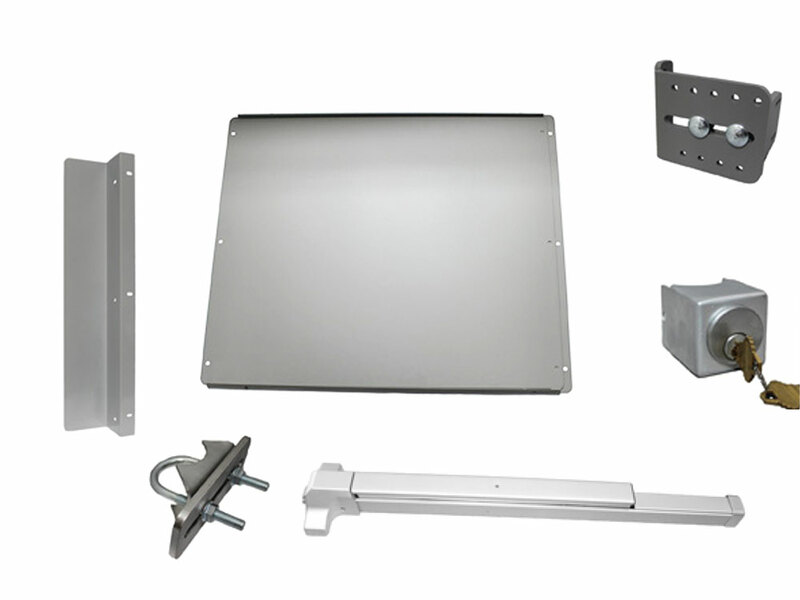 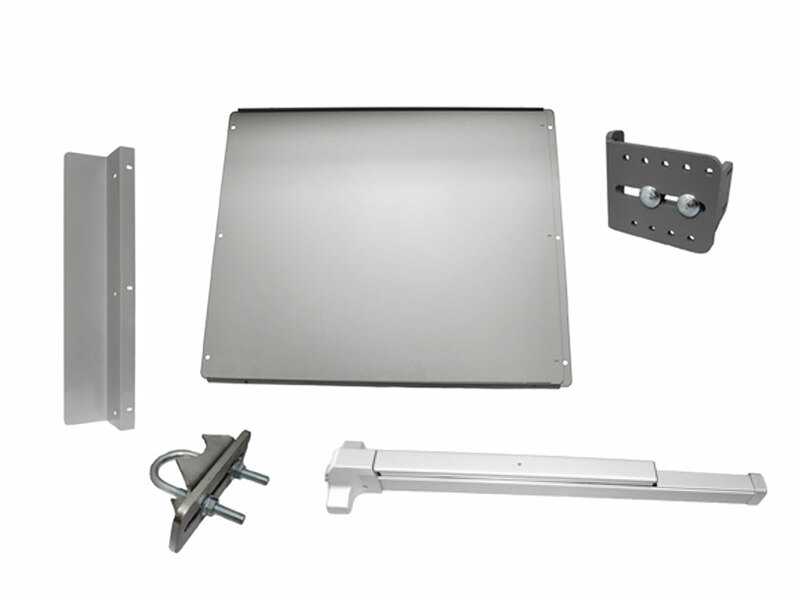 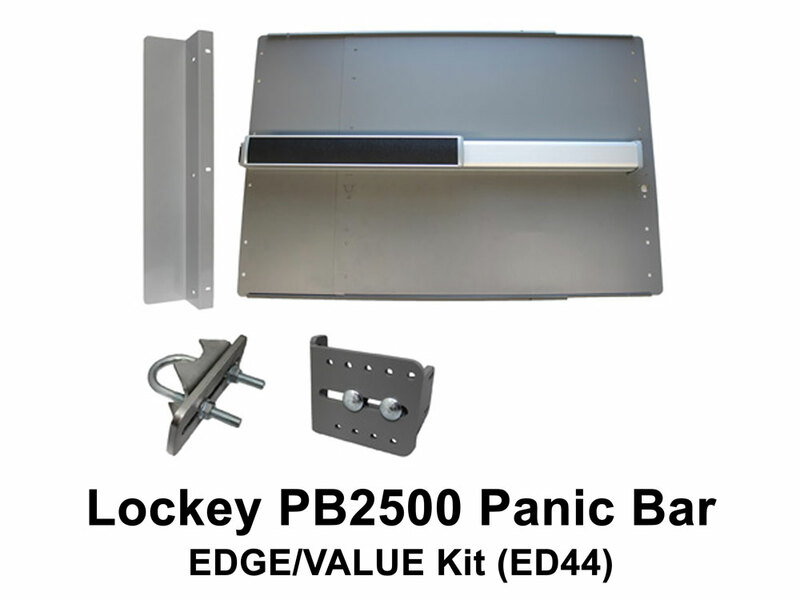 This convenient, money-saving gate panic hardware kit has the basic components you'll need to install a panic push bar on a swinging chain link fence gate. 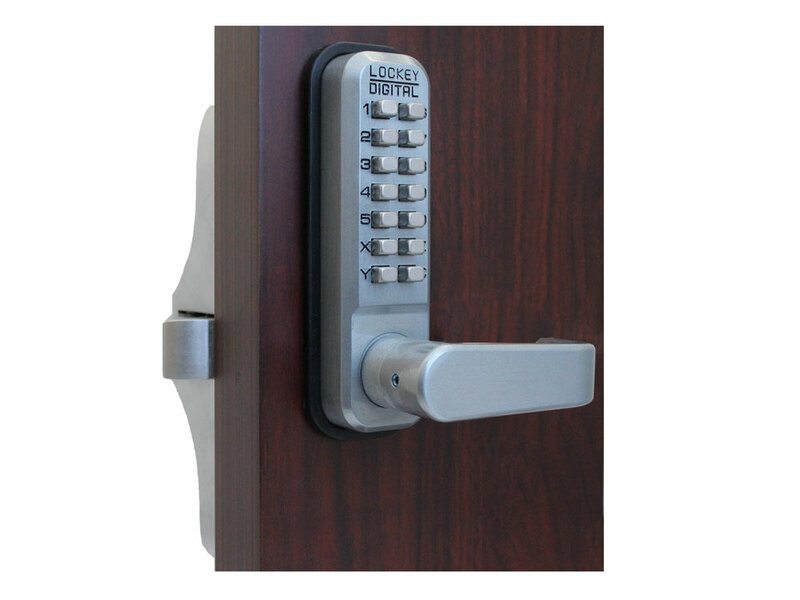 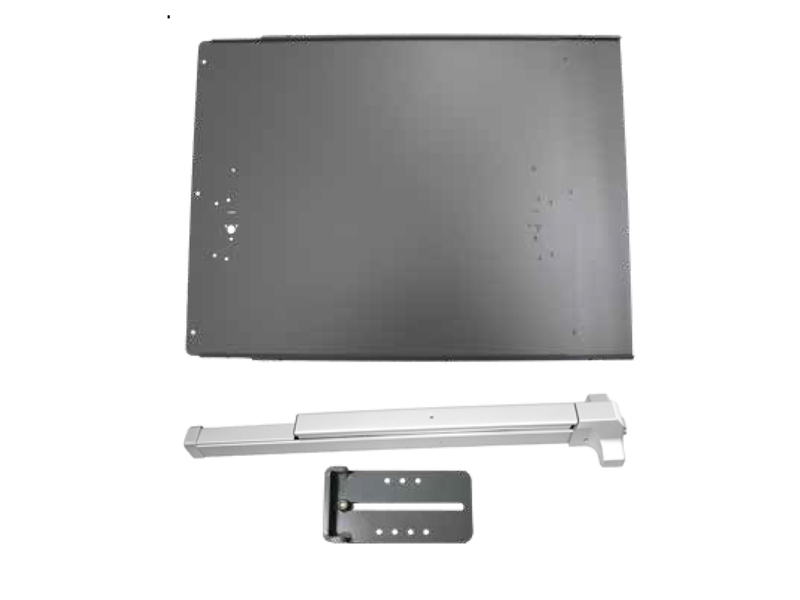 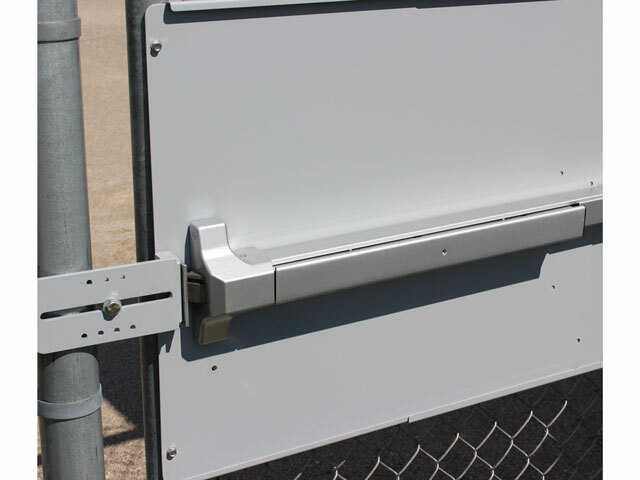 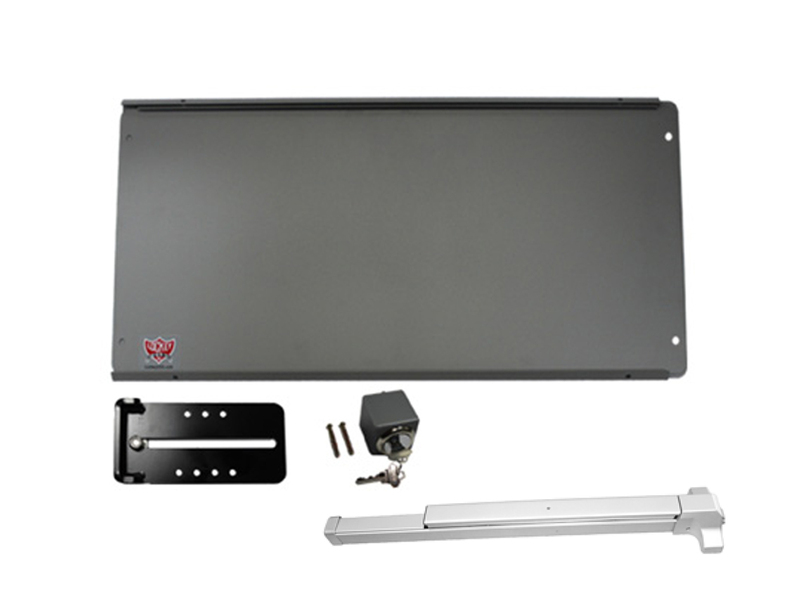 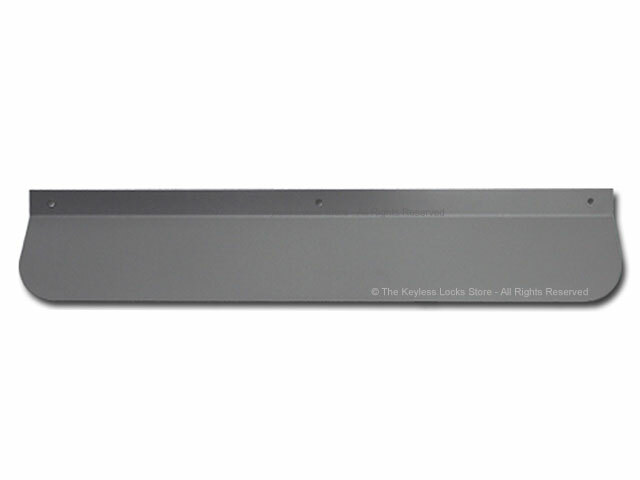 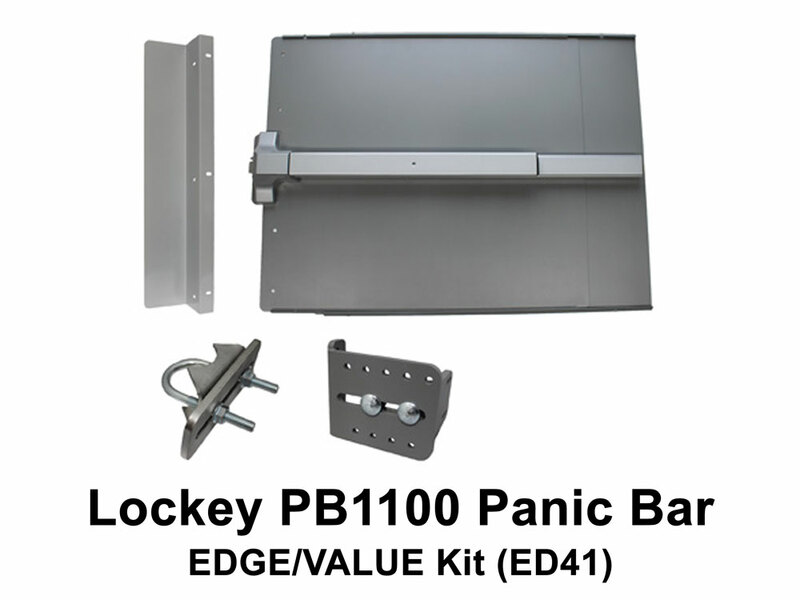 It comes with a panic bar, an adjustable strike bracket which makes installation super easy, and a large shield to prevent people from reaching through the gate to press the panic bar. 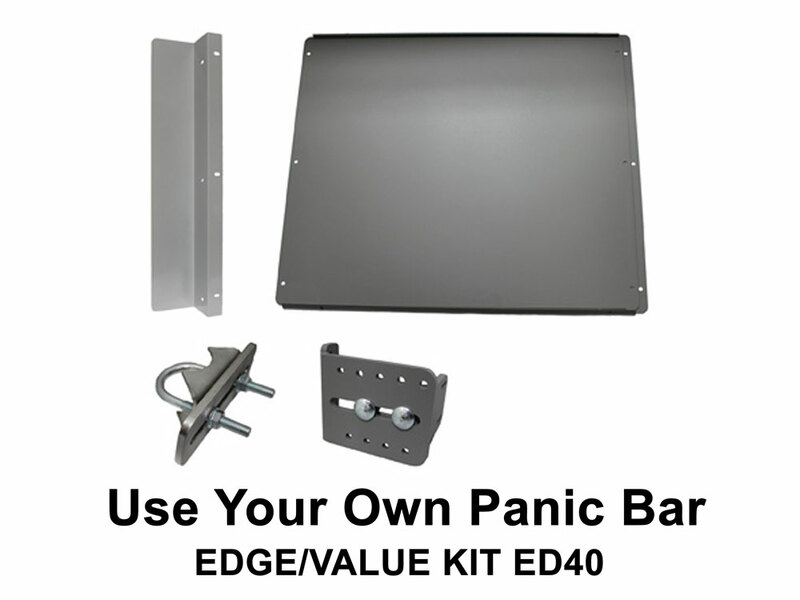 This is an Edge Kit so its panic bar accessories are designed to bring the panic bar closer to the strike and to reduce strike size and protrusion. 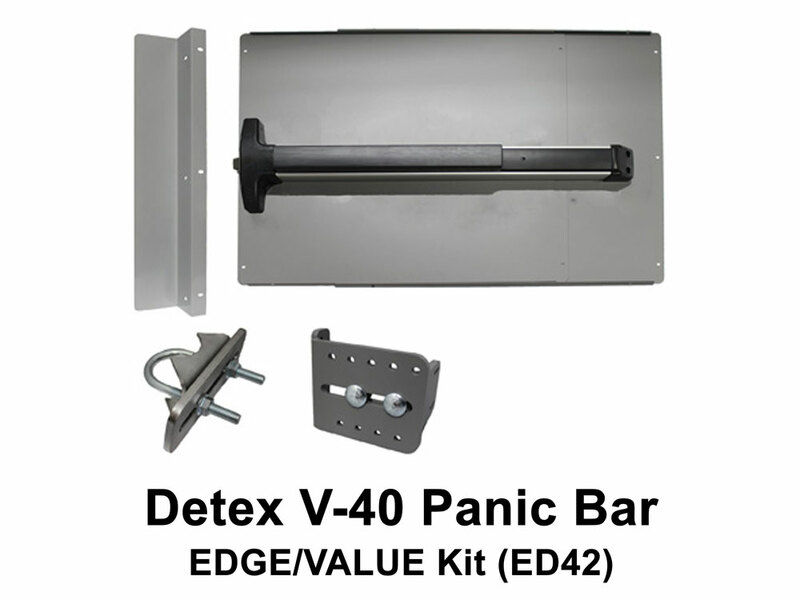 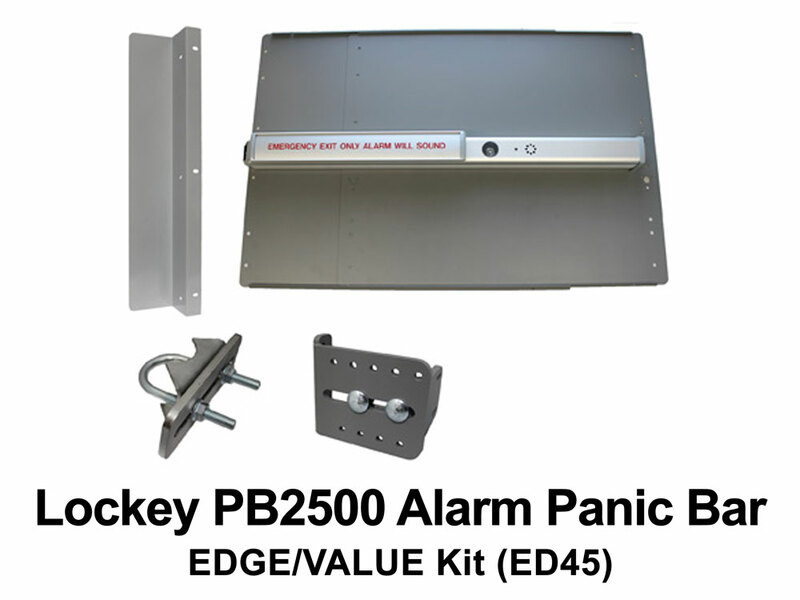 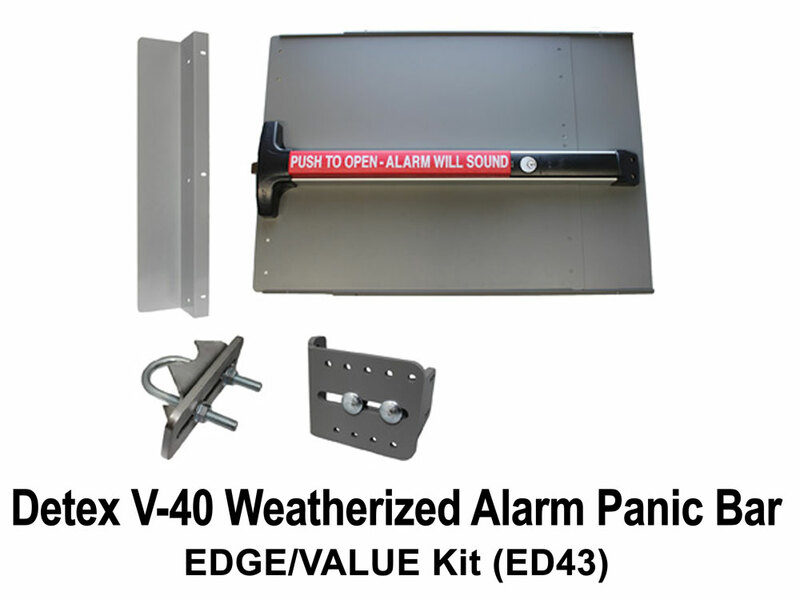 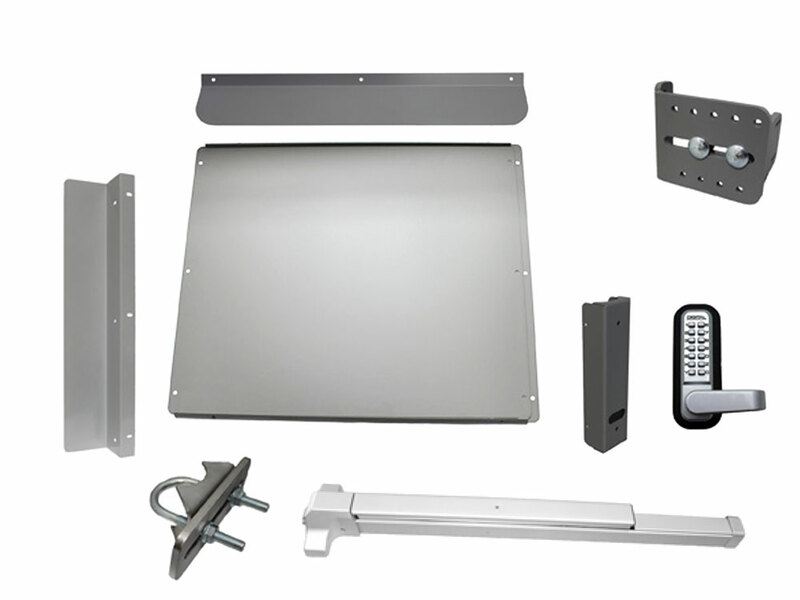 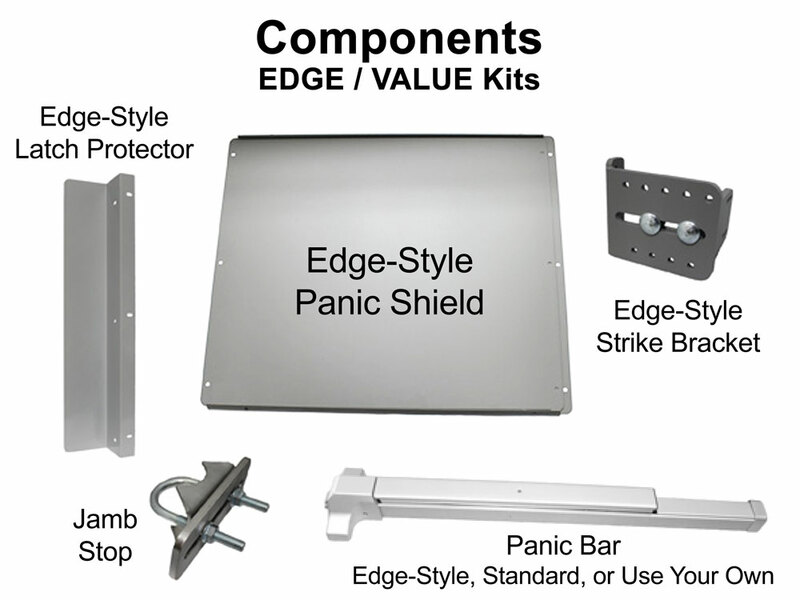 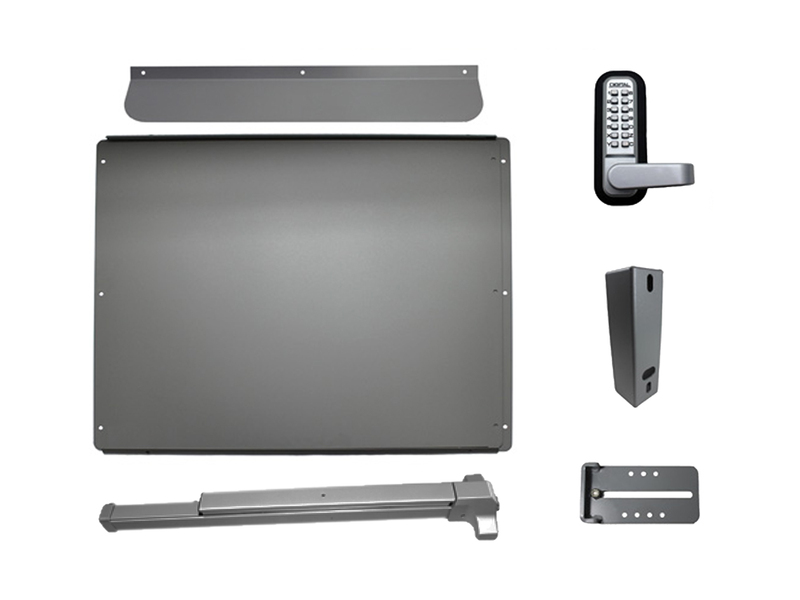 PANIC SHIELD KITS: handy and economical groups of items to install on edge-style gates and doors with a panic bar.